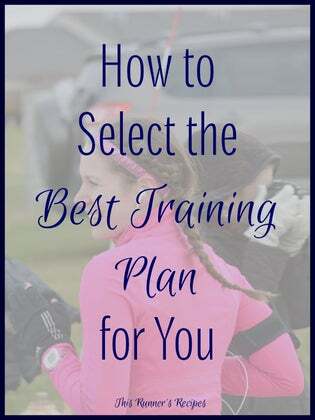 Are you truly picking a training plan that best fits into your life? After my first marathon a few months ago, I was fatigued, slightly burn out and disappointed. I had logged several 60-mile weeks, with each week including a hard speed workout covering 3-6 miles, a tempo run in the range of 8-10 miles, and a long run at a moderate pace. In return, the cumulative fatigue overwhelmed me, even up until race day. As I studied for my RRCA coaching certification exam, I realized the error I had made: I followed a cookie-cutter training plan that wasn’t right for my individual physiology, training preferences or level of experience. Because that’s the thing about race training—you shouldn’t change to fit a certain method of training. 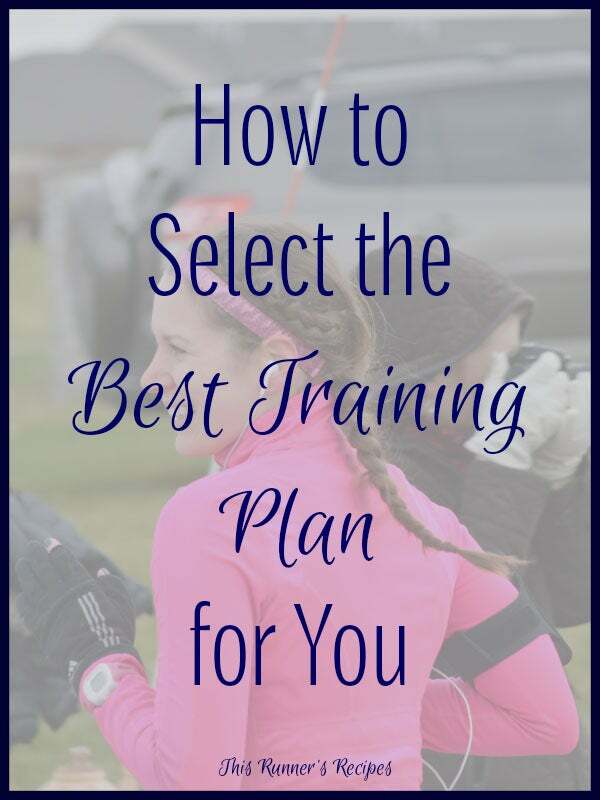 Instead, the training plan you select should fit you. While very few of us are elite athletes, that doesn’t mean that any of us are a cookie cutter runner without individual strengths, weaknesses and preferences. 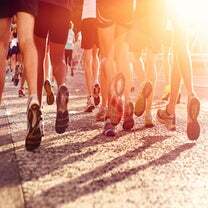 Everything about running, from your recovery rate to your ratio of fast twitch to slow twitch muscle fibers, is unique. 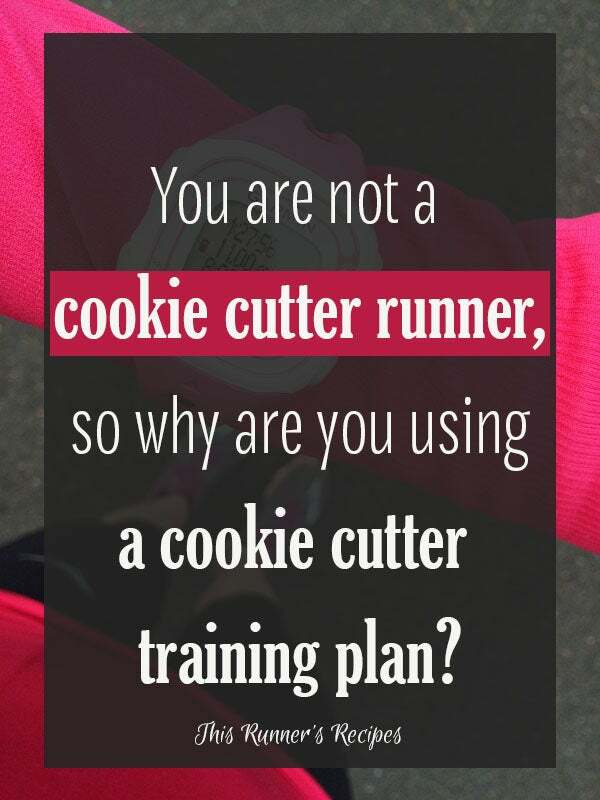 So stop training as if it isn’t! Whether or not you want to hire a coach, you don’t have to settle for a plan that doesn’t work for you. These four guidelines will help you avoid the cookie-cutter training plan trap and find a coach or training philosophy that will help you train free of injury and burnout, run your personal best and—most of all—enjoy your running. I sometimes read training plans that call for mid-week 15-mile runs and think, who actually has the time to do this? 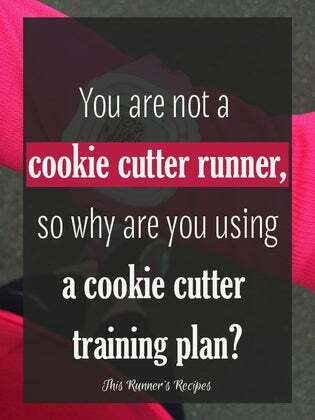 A cookie cutter training plan does not take into account your family, career, commute and other hobbies. Even if you can make time for a demanding training plan on top of everything else doesn’t mean you should. Overtraining happens when you do not recover appropriately for your level of training. Non-running aspects of life such as a big project at work or a hectic semester at school add stress to your life. 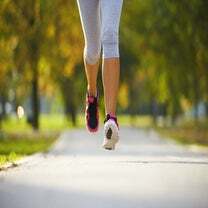 That additional mental, emotional and physical stress makes it even harder for your body to recover from the physical stress of running. Just because a certain style of training helped your friend or favorite running blogger run a 5-minute PR in the marathon doesn’t mean it will have the same effect on you. 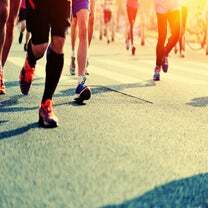 Even if you run the same race times as someone else, you likely still need a different training method because of any variable from different recovery rates to different limits on weekly mileage. In retrospect, the repeated workouts of the Hansons method left me feeling as if I was in a “Groundhog’s Day” version of marathon training. While I like routine, I also need a bit of variety, both mentally and physically. I found that variety in Hudson’s workouts. I now rarely run the same workout, and if I do, it’s a progression from a previous workout.